This week I'm working on a few custom orders, a pattern review for a PDF pattern designer (which will include some great pics of something I made ON a kiddo - wahoo! 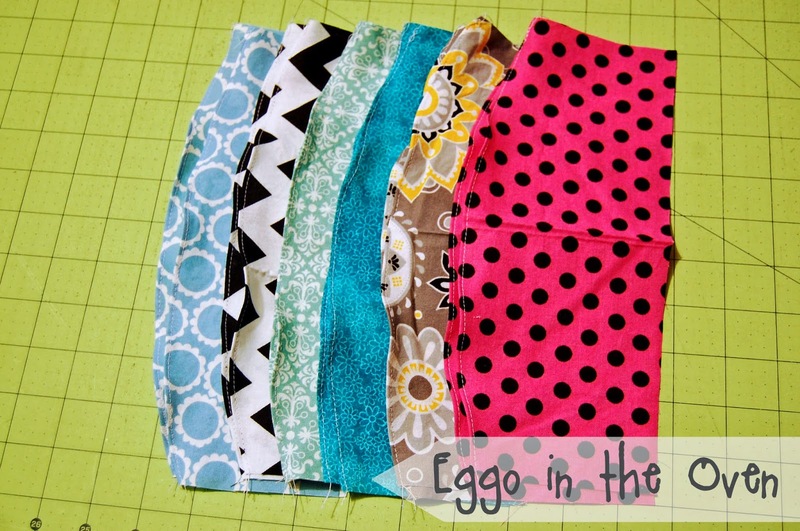 ), stock for my Etsy shop, and trying out a few patterns I have had for a while and have never sewn up. This morning I worked on sewing up six adorable dresses - one for a custom order, the rest for shop stock. I got them partially constructed..... but I still have a bit of sewing to do tonight! 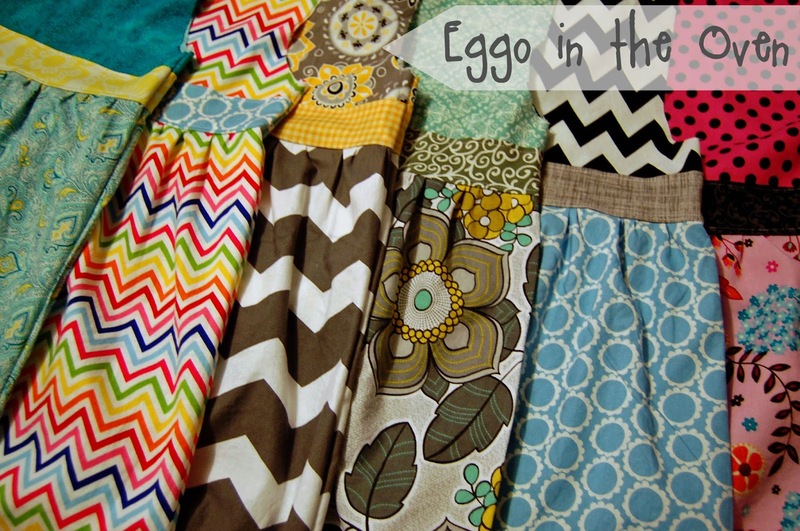 I posted this picture on my Facebook Page and many people thought the wider chevron was brown / white. Obviously my computer didn't do a good job of representing those colors (even with an attempt at editing) - it's gray & white! 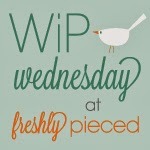 Linking up with WIP Wednesday at Freshly Pieced - can't wait to see what others are working on!